Last year is a wine growing year that likely many vintners and growers want to forget. 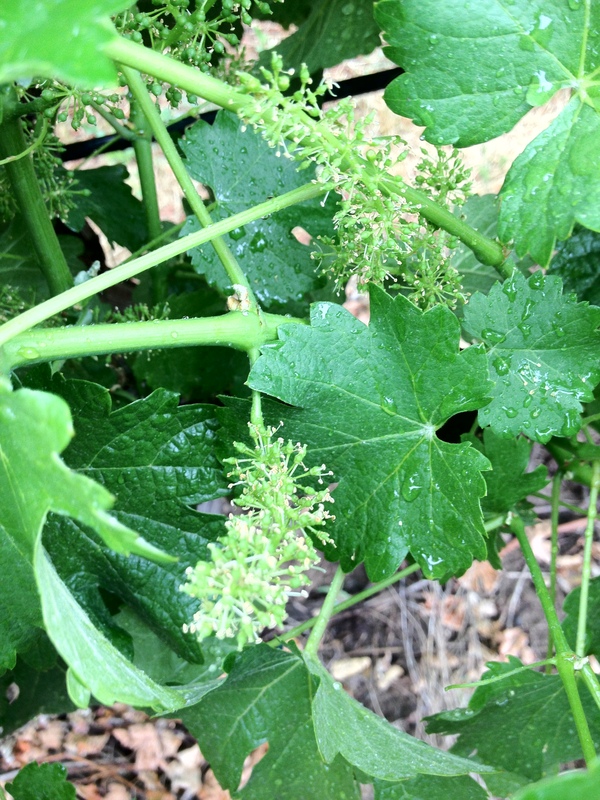 June was plagued with rain during bloom causing fruit set to be irregular leading to uneven grape clusters. So when the weather reports called for rain on Monday I was thinking it was June 2011 all over again. Turns out the highest rainfall amounts recorded were 4 hundredths of an inch or barely heavier than a thick fog. These little clusters were in the middle of bloom, but it didn’t matter because the rain wasn’t strong enough to get in the way of the self-pollination. Did you know that wine grapes are self-pollinating? The grapes do not need an outside source (like bees) to pollinate. I’ve always thought that was a cool fact about wine grapes. All is still going well for the 2012 growing season and the forecast for the next 10 days show sunny skies and temperatures in the low 80’s, just the right temperature to move this vintage along at a steady pace. One more note about the rain (if you can call it that) from Monday. It was very windy on Tuesday meaning that any ill-effects of the cooler, damp weather were pretty much erased. Wind is exactly what is needed to dry the vines out after the drizzle. More updates as we move through this season.